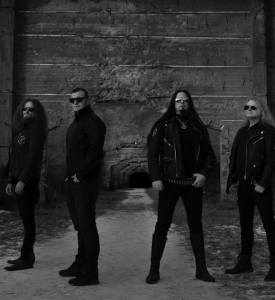 For one last time, infernal hard rockers CHROME DIVISION will let their engines roar. After 5 full length albums and the band celebrating their 15th anniversary in 2018, the Norwegians led by DIMMU BORGIR’s Shagrath have decided to lay the band to rest after »One Last Ride« - but not without a massive bang that will once again make the earth shake! Four years after »Infernal Rock Eternal«, CHROME DIVISION brewed a new masterpiece crackling with metallic energy and spinning wheels, ready to be unleashed on November 16th. Their spontaneity was also challenged when the band once again had to swap their lead singers, but after the departure of their latest singer Shady Blue, the band decided complete their ‚circle of life‘, and invited Eddie Guz – the band’s original singer who left in 2009 - back to sing on their final record just like he did on their first two.